Tails! ^____^. . Wallpaper and background images in the Miles "Tails" Prower club tagged: photo. This Miles "Tails" Prower photo might contain аниме, комиксы, манга, анимационные фильмы, комикс, мультфильм, and книга комиксов. CUTE Чиби TAILS!!! 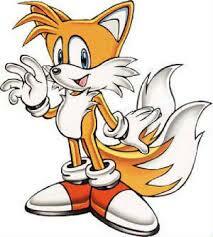 !WHO LIKE TAILS?! I didn't draw this but I wanted to share it with u guys!